Wednesday, 6 July 2011, Day 225/365. 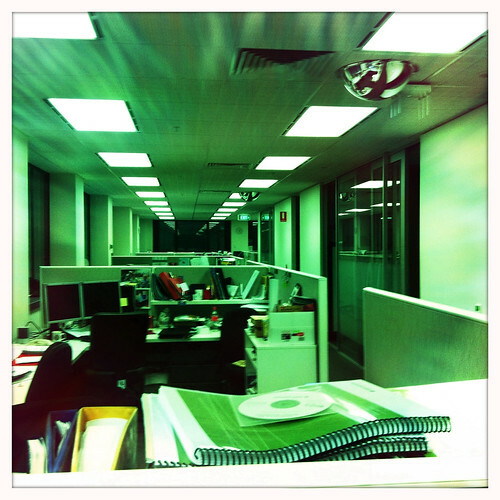 A bit after 5pm I stood up at my desk and took this photo. I don’t think there were any people sitting at any of the workstations you can see here. Very quiet indeed. I too was gone not long afterwards.